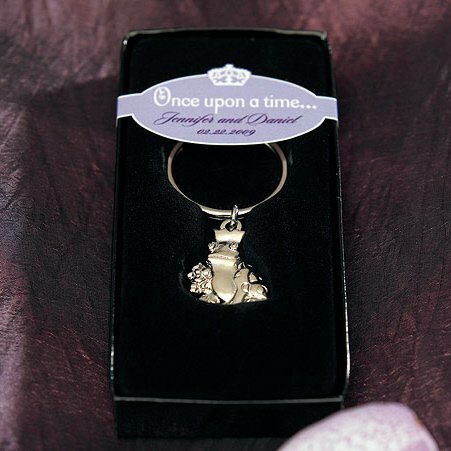 Share your fairytale ending with guests by giving them a customized favor designed especially for them. 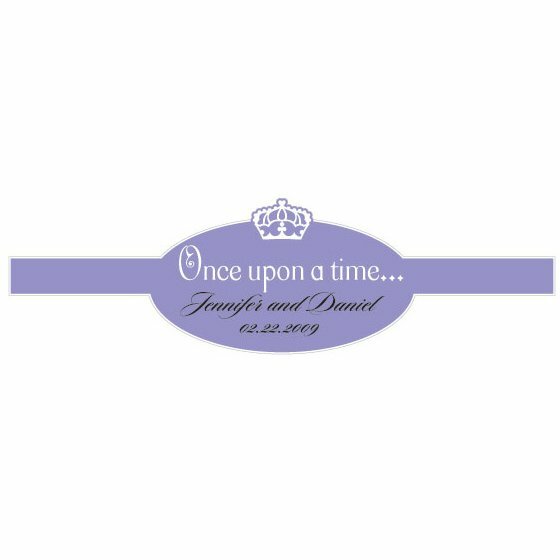 Purchase these 'once upon a time' stickers to embellish any of our Cinderella themed favors. They look great on the Cinderella slipper or prince frog key chains, the castle bottle stoppers and even the carriage shaped candle boxes. We personalize the stickers with your names and wedding date. You must purchase at least 36 stickers. Product dimensions - 3 1/2 x 1". The color shown is the only color option available.